Our Worcester Park serviced offices comprises a modern four-storey office building. The available accommodation comprises a number of smaller serviced office suites located on ground and first floors with further larger suites available on the first and second floors. There is a four-person passenger lift serving the entire building. Some of the suites benefit from comfort cooling. Amenities: Gas fired central heating, Suspended ceilings with receded Cat II lighting, comfort cooling cassette units, perimeter trunking, male and female toilets on each floor, good quality part glazed partitioning, 4 person automated passenger lift, kitchen facilities, shower facilities and limited parking available by separate negotiation. 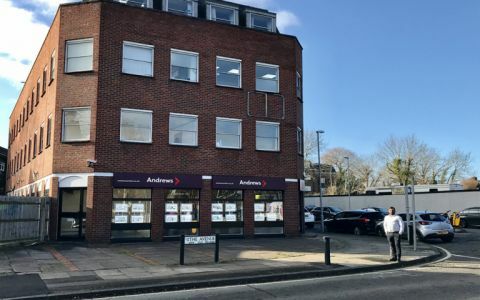 Our Worcester park serviced offices are prominently located on the junction of The Avenue with the A2043 Central Avenue/Malden Road, immediately opposite Worcester Park mainline station. The station offers a direct service to London Waterloo (approximate journey time 29 minutes). The A3 Kingston by pass is within 1.25 miles of the building, offering direct access to Central London and Junction 10 of the M25 motorway. The town centre of Worcester Park is within 2 minutes walk of the building, offering a good range of shopping and banking facilities. A3 1 mile, 1.61 km. These offices in Park Terrace offer a range of prices depending upon your exact requirements. Contact us now and we will help find the best price for you, based on your individual needs.